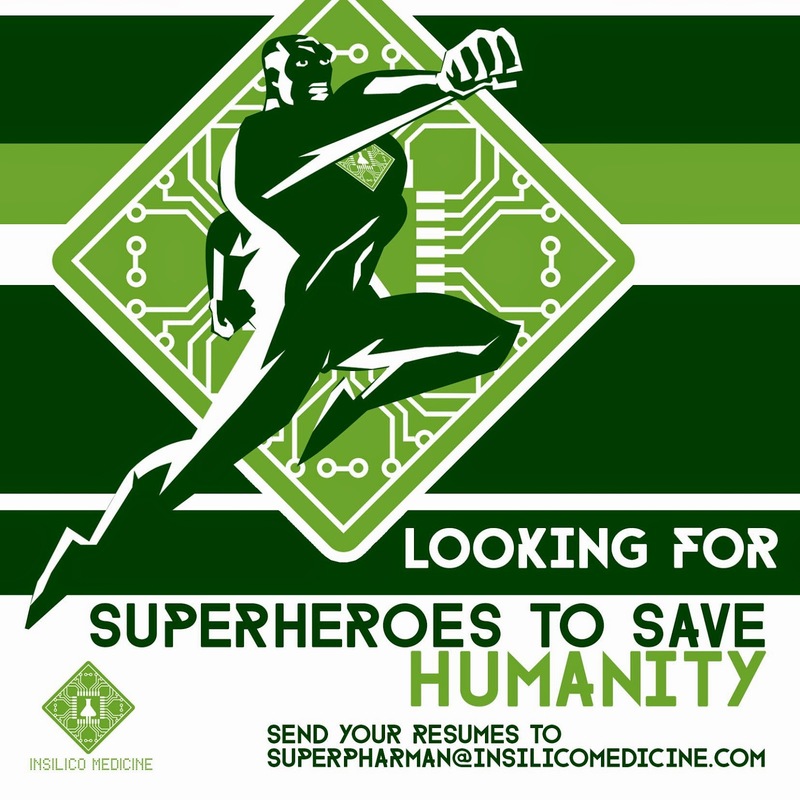 Aging fighters at Insilico Medicine are looking for relentless doers who dream big, but are not afraid to get their hands dirty with basic tasks. Doers, who have trouble sleeping at night, because they know that millions of people are suffering and dying of cancer and age-related diseases and their own clock is ticking as well. Doers with both programming and database management skills and knowledge of biology. You will need to know or quickly learn how to use huge multi-omics data to find alternative uses of currently available drugs and distribute many micro tasks to the crowd, freelancers or colleagues, while keeping the big picture in mind. We know that we are looking for a needle in the haystack, but this is how our team has come to be and you will be in great company. We have relentless super heroes in the US, UK, Switzerland, Poland, Israel, Russia and China. If you know someone amazing, who fits that profile amazing, ask him. Maybe he or she is already working for us. He goes through the day doing a boring academic job, but at night he is hacking away. Our first frontier is transforming the pharmaceutical industry, repurposing known drugs and finding the new ones. When we launch, the world will become a better place. 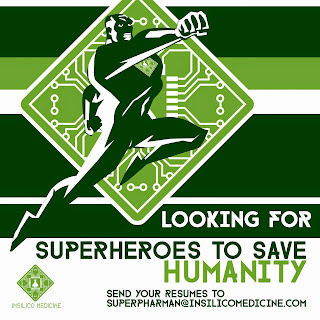 And if you are that super hero with bold ideas and hands on experience, ready to unleash maniacal energy to hack aging, send us a signal and we will respond right away or start watching you to see if you fit. In partnerships they can also do in vitro and in vivo validation, humouse clinical trials and even organ-on-a-chip and body-on-a-chip validation. They are looking for someone with similar skill set and energy as Alex Zhavoronkov (www.linkedin.com/in/zhavoronkov) to work together with him, gradually replace him and then find someone to replace yourself as the company grows or you decide to start a subsidiary. Experience working with GEO, ArrayExpress, KEGG, TCGA, LINCS, Connectivity Map, Drugbank, Clinical Trials, WHO databases, etc.